This event has been canceled. The activities for this workshop will be combined with Workshop No. 2 on February 16. 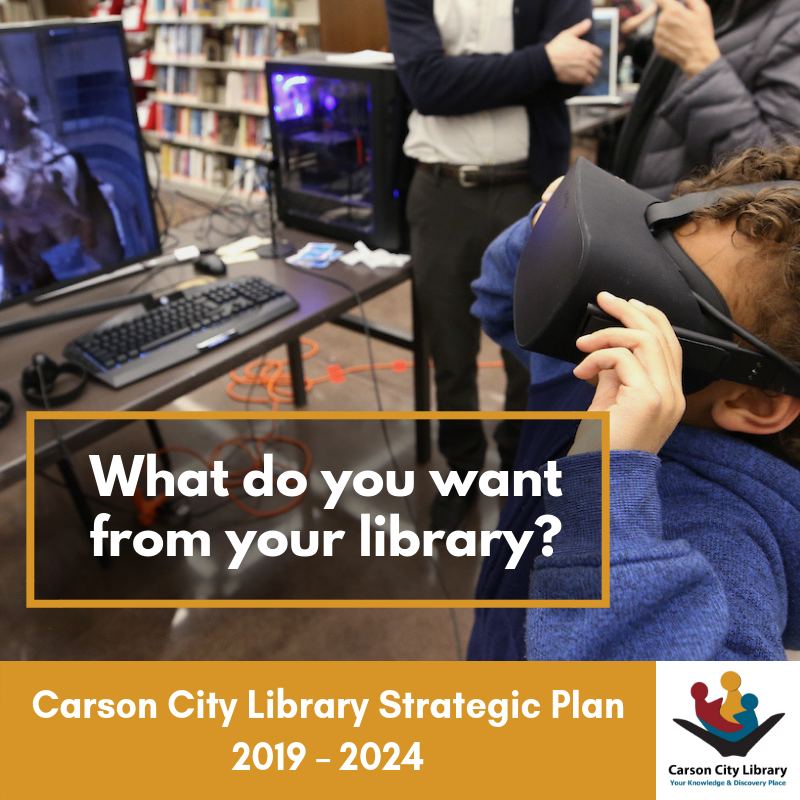 The Carson City Library, in partnership with the Center for Economic Development at the University of Nevada, Reno, is currently developing a new five-year strategic plan. The new strategic plan will consist of a set of core values, a new strategic mission and vision statement, a set of strategic goals and objectives and an implementation plan. You are invited to attend and participate in four upcoming strategic planning community workshops. The purpose of Workshop No. 1 is to complete a comprehensive environment assessment of the Carson City Library's External and internal environment. Workshop participants will complete a number of facilitated small group exercises. There is no charge to attend any of the workshops but individuals interested in attending are encouraged to RSVP at least two days in advance of each workshop. Morning snacks, refreshments, and a lunch will be provided at all four workshops. To RSVP or to get more information about these meetings, please contact Frederick Steinmann, University Center for Economic Development, via phone (775-7874-1655) or by email (fred@unr.edu).